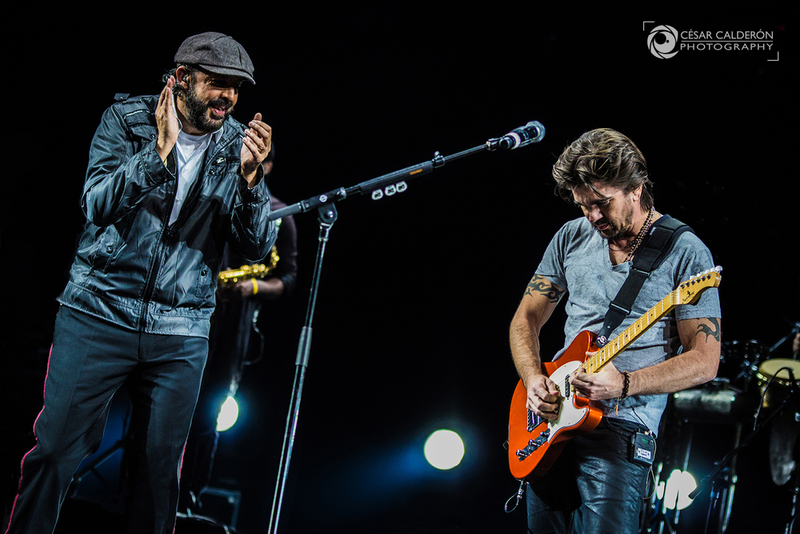 Raised in Medellín, Juanes began playing guitar at age seven. When Juanes was 15, he started his first band, Ekhymosis, in 1988, which went on to release five albums, achieving recognition in his native Colombia. The track "Sólo" from the album Niño Gigante in 1992 was very popular. In 1997 after the band broke up, Juanes continued solo and in 2000 he released the album, Fíjate Bien, which earned him three Latin Grammys. His follow-up album, Un Día Normal, was released in 2002 and was later certified platinum in multiple countries throughout Latin America. Juanes' third album, Mi Sangre (2004), which became an international bestseller, managing to position well in a number of countries around the world, achieved success due to the single "La Camisa Negra". He has since released La Vida... Es Un Ratico (2007) and P.A.R.C.E. (2010). On May 29, 2012 Juanes released the album Juanes MTV Unplugged. According to his label, Universal Music, Juanes has won, among others, twenty Latin Grammy Awards (5 wins in the Grammy Awards on November 13, 2008) and two Grammy Awards. Juanes received the BMI President's Award at the 2010 BMI Latin Awards. Juanes is also known for his humanitarian work, especially with aid for Colombian victims of anti-personnel mines. On April 2013, Juanes released an autobiography titled Chasing The Sun in which he tells his story through narratives and pictures.